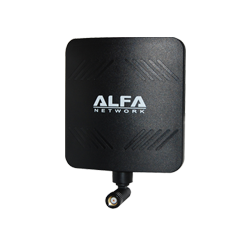 In spite of small dimensions with this antenna of ALFA Network a simple alignment of the radiation in one direction is possible . This provides greater wireless range in this direction. Für den Preis absolut in Ordnung und zu empfehlen!